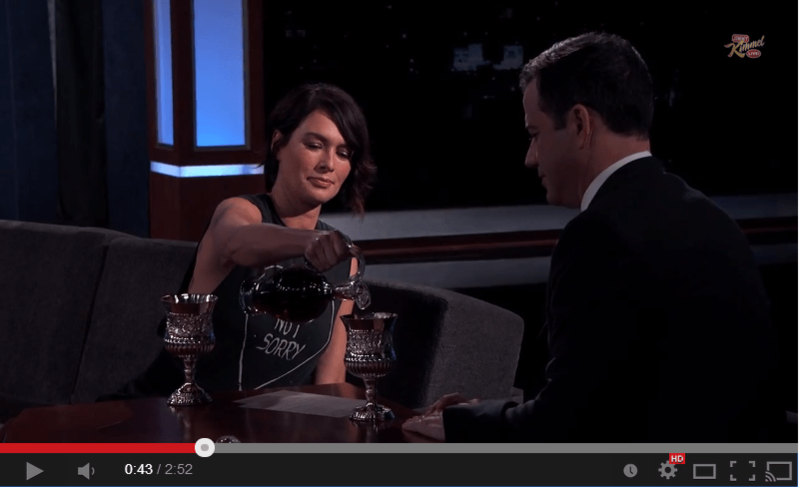 Lena Headey and Jimmy Kimmel had a Game Of Thrones insults/threats fight over wine. This entry was posted in Entertaintment and tagged cersei, Game of Thrones, GOT, jimmy kimmel, wine by TheGoodGoodGuy. Bookmark the permalink.